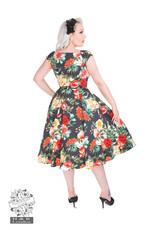 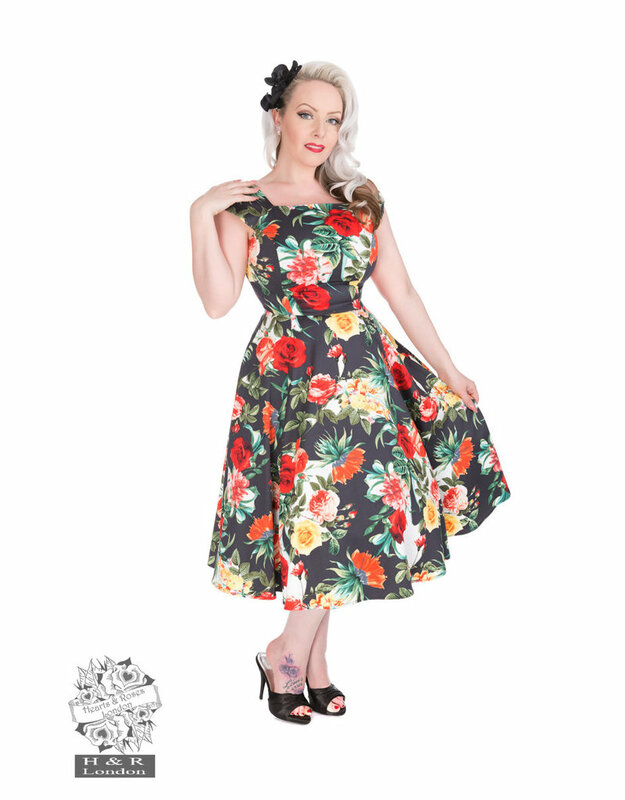 The Vintage Roses Swing Dress from Hearts & Roses London is so rosy with beautiful bouquets roses in red, yellow and touch of rose buds. 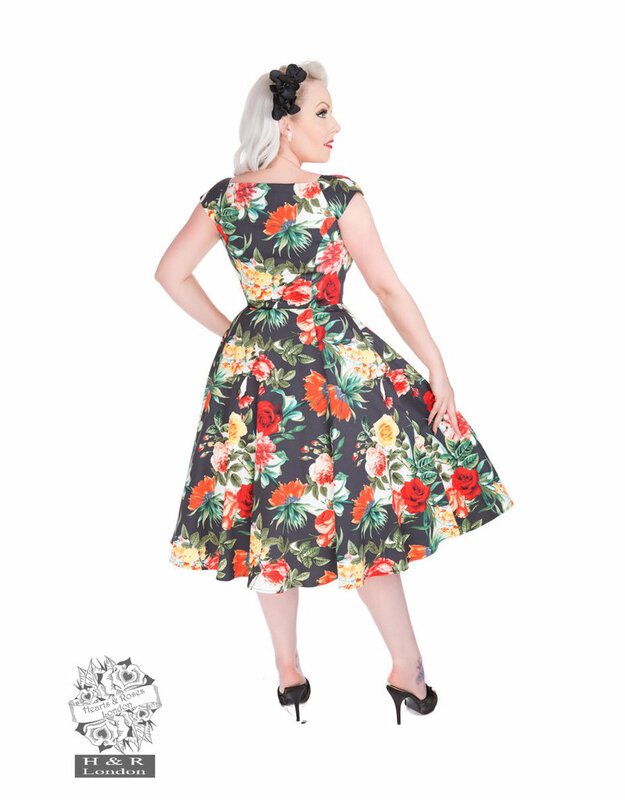 Square neckline with short cap sleeveless, with a full swing skirt. 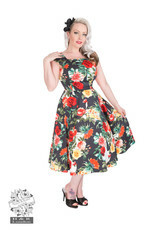 Dress zips up from the side for a comfortable fit.